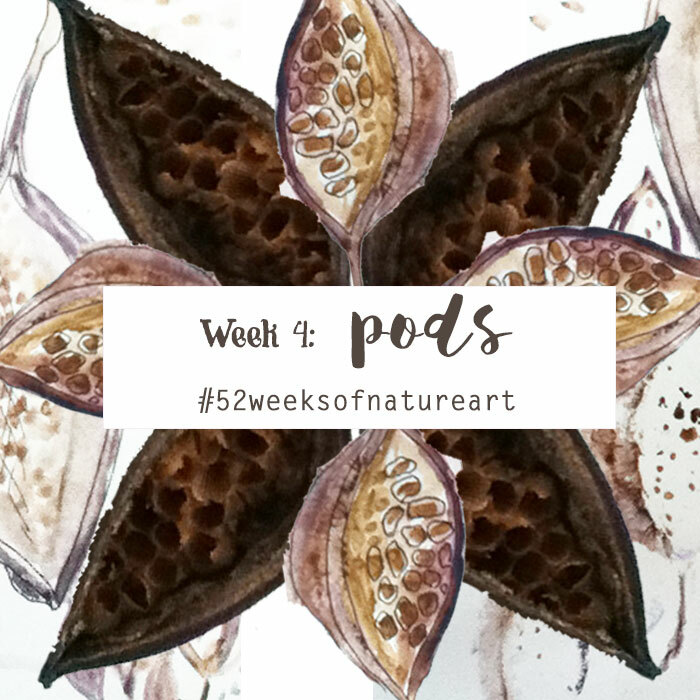 Week 4 of 52 Weeks of Nature Art was all about seed pods! AND Again! So much inspiration out there in the world on this beautiful theme. I tried a few different mixed media techniques this week to mix things up a little, including book paper, ink and air dry clay! 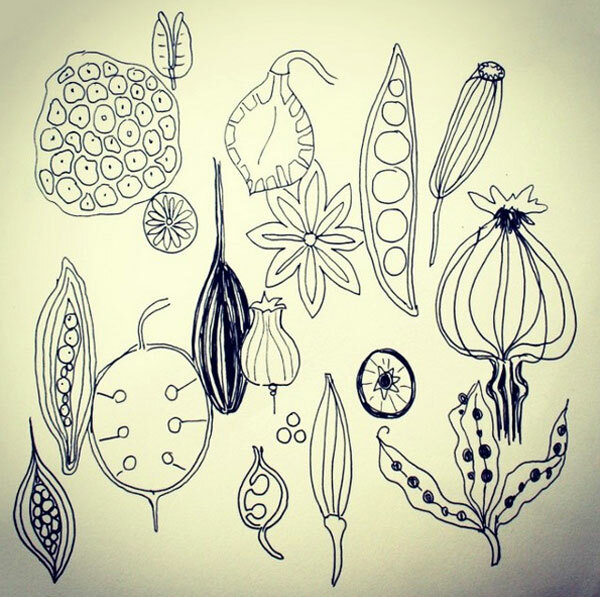 To get started this week, I drew a page full of seed pods. 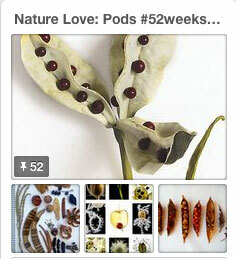 Like a seed pod party it was! I loved capturing all the different lines, patterns and shapes. So many gorgeous images to use. 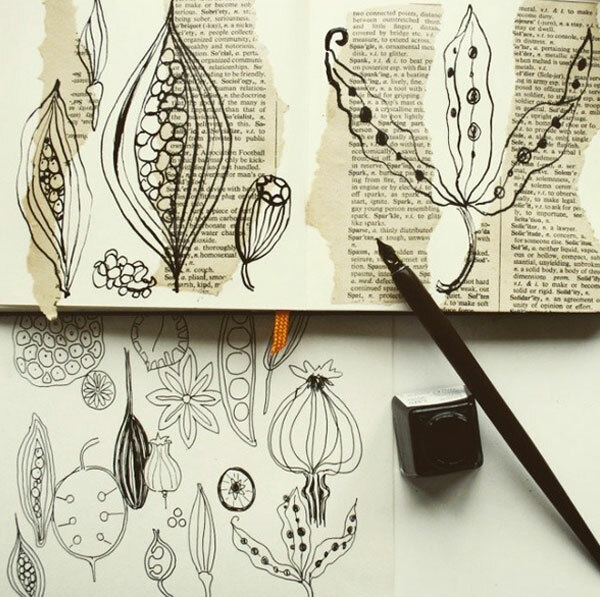 Then I chose a couple of pod designs to work with to draw in my sketchbook. I decided to glue some strips of an old book page into the pages, as these are so lovely to draw onto. I then thought I would give my new drop pen a go and this was a dream to work with. The lines that flowed from the drip pen were so satisfying to add onto the page. I loved creating this! 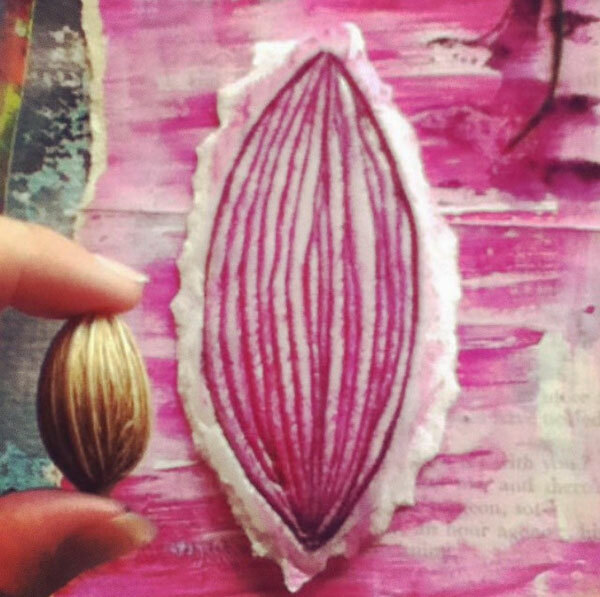 There is so much we can do with these simple beautiful lines that can be found in a seed pod. I scratched the shape and lines into some foam (funky foam) to create a hand-made stamp. 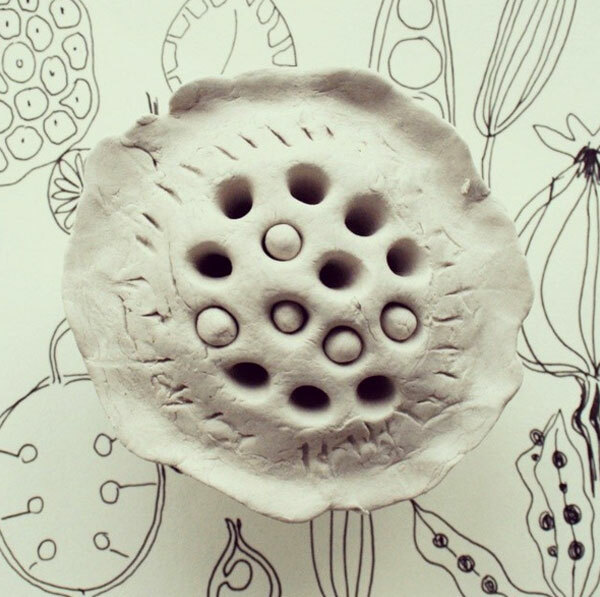 There is something so fascinating about the lotus seed pod, that I felt drawn to carving its shape into clay. 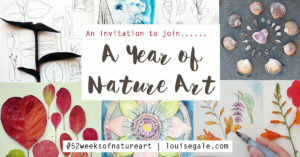 I was recording some new footage for my Mandala class (paint, sculpt and collage) and thought this was perfect for a natural mandala for us to create out of clay! 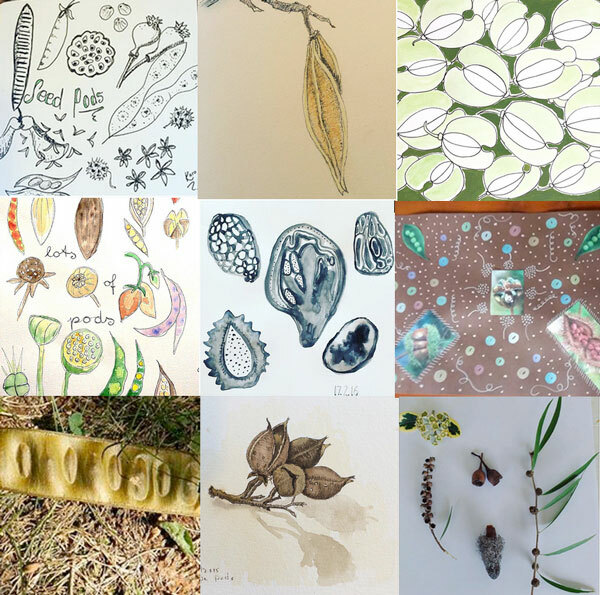 Thank you to all who shared their images on Instagram using the #52weeksofnatureart hashtag. So much fun to see what you came up with and thank you for sharing! Here are a few I gathered to showcase. See all the gorgeous images here We also have a Facebook group where participants are sharing there too.